With higher risks to mother and baby in pregnant women with renal disease, critical decision-making is key. Giving practical guidance for antenatal, post-partum and maternity unit challenges, this book supports good practice and evidence-based management. The book includes evidence on antenatal and post-partum care; management of acute kidney injury in the delivery suite; and care guidelines for acute, chronic, and previously undiagnosed kidney diseases. The book also covers acute kidney injury, transplant, dialysis, pre-conception counselling, and medications. 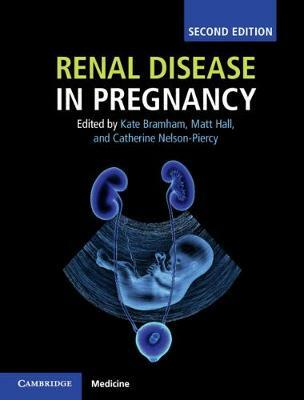 Previously published by RCOG, this revised edition includes: • Updated expert consensus statements • Complete revision, with a new chapter on contraception • Updates in management of acute kidney injury, hypertension, dialysis and pregnancy, renal transplantation and pre-eclampsia. Structured to help clinicians make decisions, this book is for use by obstetricians, renal physicians, maternal medicine clinicians, midwives, urologists and specialist nurses.